France unveiled a raft of new measures to crackdown on tobacco and electronic cigarettes on Thursday including a ban on lighting up in cars where young children are present and forbidding e-cigs in certain public places. 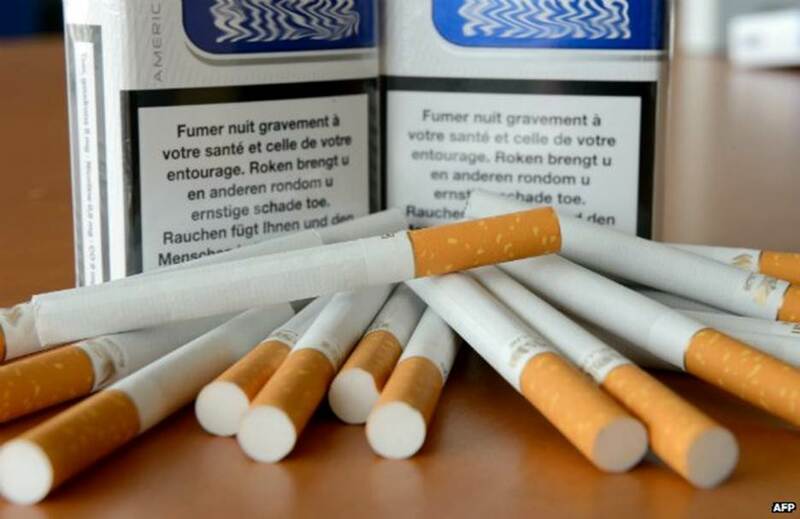 France announced on Thursday that it would introduce plain cigarette packaging and ban electronic cigarettes in certain public places, in a bid to reduce high smoking rates among the under-16s. Paris also intends to ban smoking in cars where children under the age of 12 are present. Sparking up will also be forbidden in kids’ outdoor play areas. Advertising for e-cigarettes will also be regulated in the same way it is for traditional tobacco. Touraine had long made it clear she wanted to ban e-cigarettes in public places, a move that sparked opposition from representatives of the burgeoning industry. Currently users can fire up the devices in bars, cafes and restaurants because the devices use vapour and not smoke to deliver nicotine. E-cigarettes will be banned in locations where young people gather – schools, for example – as well as on public transport and in enclosed work spaces. The legislation proposed on Thursday is part of the government’s national plan to crack down on smoking. However the measure to introduce plain packaging is likely to face opposition from tobacco companies. “It’s based on the Australian experience which, more than a failure, was a complete fiasco,” she said. The proposals are specifically aimed at reducing the high rates of teenage smokers in France. Health Minister Marisol Touraine plans to follow Australia’s example, which introduced similar measures in 2012. Experts say removing branding on packets and adding large health warnings reduced smoking in Australia. However, some tobacco companies dispute the evidence for this and say France’s plans are incomprehensible. Smoking is the main cause of death in France, with more than 70,000 people dying each year of tobacco-related illnesses. The new measures, which will come into effect once the law goes through the National Assembly, also includes a ban on smoking in children’s play areas in public parks and in cars carrying children under 12. In addition, advertising of e-cigarettes will be restricted before being banned in May 2016, except at the point of sale and in trade publications. SINGAPORE – The retailers – four neighbourhood shops, a coffeeshop and a 7-Eleven outlet – will not be able to sell tobacco products for six months and were fined either $1,500 or $2,000. The Health Sciences Authority (HSA) has suspended the licences of six errant tobacco retailers for selling tobacco products to minors under 18 years of age. The errant retailers will not be allowed to sell tobacco products for six months. The six sellers, who are employees of the respective retail outlets, failed to check the age of the minors before selling cigarettes to them. They were caught via HSA’s routine surveillance and enforcement activities to deter the illegal sale of tobacco products to under-18 minors. The sellers have been convicted in Court and fined with sums ranging from $1,500 to $2,000 for their respective offences. As those caught selling tobacco to minors in all six cases were employees of the suspended outlets, the HSA would like to remind tobacco retail licensees that they are responsible for all transactions of tobacco products taking place at their outlets, as well as for the actions of their employees. The HSA urges all tobacco retail licensees to educate their employees on the law pertaining to the sale of tobacco products and for sellers to check the age of those who wish to buy tobacco products. Under the Tobacco (Control of Advertisements and Sale) Act, anyone caught selling tobacco products to persons below the age of 18 is liable, on conviction in Court, to a maximum fine of up to $5,000 for the first offence and up to $10,000 for the second or subsequent offence. In addition, the tobacco retail licence will be suspended for 6 months for the first offence and revoked for the second offence. However, if any outlet is found selling tobacco products to under-18 minors in school uniform or those below 12 years of age, the tobacco retail licence will be revoked, even at the first offence. The HSA also reminds the public not to supply any tobacco products to under-18 minors. Anyone caught buying or acquiring any tobacco product for a person below the age of 18 years, is liable on conviction in Court, to a maximum fine of up to $2,500 for the first offence and up to $5,000 for the second or subsequent offence. Similarly, anyone caught giving or furnishing tobacco product to a person below the age of 18, is liable on conviction in Court, to a maximum fine of up to $500 for the first offence and up to $1,000 for the second or subsequent offence. From 2011 till July 2014, 38 people have been caught for such offences. 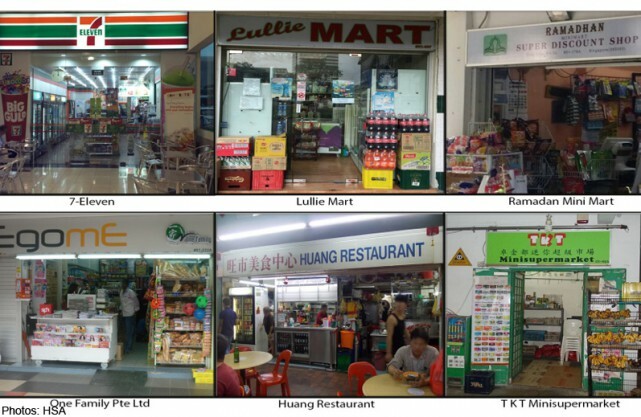 Members of the public can view the updated List of Suspended / Revoked Tobacco Retailers at: http://www.hsa.gov.sg/content/hsa/en/Health_Products_Regulation/Tobacco_Control/List_of_Suspended_Revoked_Licences.html. The HSA encourages members of the public who have information on the illegal sales of tobacco products to under-18 minors to call the Tobacco Regulation Branch at Tel: 66842036 or 66842037 during office hours. MANILA, Philippines – Its all systems go for the Bureau of Internal Revenue’s stamp tax project following the approval by the Department of Finance of the proposed revenue regulation mandating the affixture of stamps on all imported and locally made cigarettes. Under the Internal Revenue Stamp System (IRSIS), every packet of locally-manufactured cigarettes must bear a stamp tax by Oct. 1 to indicate that the required excise tax has been paid by the manufacturers. Imported cigarettes, on the other hand, will have the new stamp tax starting Feb. 2015. The IRSIS allows authorities to further secure the distribution system as well as aid in the investigation of illicit trade. Under this system, it is possible to quickly distinguish genuine from counterfiet cigarettes and to verify the authenticity of the tax stamps applied on the packs by manufacturers. BIR commissioner Kim Henares said the new regulation is key to the government’s anti-smuggling strategy as the stamps serve as effective tracking and audit tools to ensure that all due taxes are collected on cigarettes. “This measure will strengthen our capacity to combat smuggling of tobacco products. We believe in implementing regulations with enough teeth to bite down on smugglers who are intent on depriving the nation of critical resources for greed and private gain,” Henares said. To effectively monitor the movement of tobacco products, the BIR will order the installation of a close circuit television monitoring system on all production and withdrawal points in the premises of all cigarette firms. Aside from curbing illicit cigarette sales, the trace and trace system is expected to help raise additional revenues for the government, said Finance Secretary Cesar Purisima. “In 2013, revenues from the Sin Tax Law were 51 percent higher than projected. Simple governance measures like this enable the government to push harder in driving our revenue collection performance ever upwards. We are consistently looking at ways to enhance the government’s ability to raise revenues at a critical time requiring much investments to our infrastructure, services, and people,” Purisima said. All importers and local cigarette manufacturers are required to enroll or register with the IRSIS prior before they purchase the stamps. Illicit trade has become a concern for some major tobacco manufacturers and some organizations. A study done by the UK-based think tank Oxford Economics, together with the International Tax and Investment Center, showed that the Philippines has become one of the biggest markets for illegal cigarette sales, accounting for 34.5 percent of all untaxed cigarettes consumed within ASEAN, the second highest after Vietnam which took up a 39-percent share. ITIC president Daniel A. Witt said the Philippines now has the fastest growing black market as one out of five cigarettes sold in the country is illegal. Illicit consumption across Asia was estimated to have increased by 20.1 percent to 79.9 billion cigarettes, mainly driven by the 198-percent surge in illegal cigarette sales in the Philippines. On the other hand, Pakistan and Singapore saw significant declines in the share of illicit consumption. According to the study, the Philippines also posted the biggest jump in tax loss from illicit consumption at 49 percent, representing 9.4 percent of the total $3.9-billion losses incurred by the ASEAN region. The largest tax losses were in Australia ($1.35 billion), Malaysia ($624 million) and Hong Kong ($395 million). PINK HILL, N.C. — On many mornings, as tobacco plants tower around her, Saray Cambray Alvarez pulls a black plastic garbage bag over her 13-year-old body to protect her skin from leaves dripping with nicotine-tinged dew. When Saray and other workers — including several more teenagers — get to the fields at 6, they punch holes through the bags for their arms. They are trying to avoid what is known as “green tobacco sickness,” or nicotine poisoning, which can cause vomiting, dizziness and irregular heart rates, among other symptoms. Saray says that she sometimes has trouble breathing in the middle of all the heat, humidity and leaves, and that she often feels weary during her 12-hour shifts, when she moves through the rows to pluck unwanted flowers or pull off oversize leaves for the harvest. For years, public health experts and federal labor officials have sought to bar teenagers under 16 from the tobacco fields, citing the grueling hours and the harmful exposure to nicotine and other chemicals, but their efforts have been blocked. Three years ago, Hilda Solis, then the labor secretary, proposed declaring work in tobacco fields and with tractors hazardous — making that type of work illegal for those under 16. Opponents of child labor note that Brazil, India and some other tobacco-producing nations already prohibit anyone under 18 from working on tobacco farms. The Obama administration withdrew Ms. Solis’s proposed rule after encountering intense opposition from farm groups and Republican lawmakers. Agricultural organizations said the move would hurt family farms and make it harder for young people to learn farming skills. The administration killed the proposal in April 2012, when the president was running for re-election, saying it would not pursue these regulations for “the duration of the Obama administration.” But some proponents still hope to revive the tobacco part of the proposal once this year’s midterm elections are over. In the meantime, public health experts say hundreds of children under 16 like Saray continue to work in America’s tobacco fields. Dr. Thomas A. Arcury, an expert on tobacco and migrant workers and a professor at the Wake Forest Baptist Medical Center, said tobacco work was particularly harmful to children, pointing to nicotine poisoning, pesticides and dehydration. The products are virtually indistinguishable from one another, yet they retain more loyalty than Mac computers. And an expensive international legal battle is raging over them. Why? Because the products—cigarettes—are a recognized public health hazard, and governments around the world are trying to do whatever it takes to stop their citizens from lighting up. Tobacco companies have spent years perfecting their marketing strategies with the likes of a macho Marlboro Man and a kid-friendly Joe Camel. And their strategies have worked. The major way that consumers distinguish one brand from another is through branding—the packaging of the box and the image the cigarettes project for the smoker. Take away the brand image, cigarette makers say, and you take away their very identity. Australia is the only country so far to enact a plain packaging law. But Ireland is brashly promising to be next. And other countries are also talking about adopting plain packaging for tobacco products—including the United Kingdom, New Zealand and even France, where smoking rates are still high and images of Pablo Picasso, Jean-Paul Sartre and Albert Camus smoking unfiltered Gauloises are practically ingrained in the national consciousness. So Big Tobacco is fighting back. Its principal weapon is intellectual property law. And in many ways it’s winning, with the threat of legal action acting as an impediment to cash-strapped nations. “The tobacco industry believes that intellectual property laws give them the right to use their trademarks, and any law that limits that use constitutes infringement,” says Robert Stumberg, a law professor and director of the Harrison Institute for Public Law at Georgetown University Law, who has followed international tobacco litigation and regulation. It’s important to understand that when people discuss plain packaging of tobacco products, the “plain” refers to the fact that all logos, distinctive fonts, colors and anything else that makes a cigarette brand appear distinctive in its box are stripped away. Beyond that, there is nothing “plain” about the packaging. In fact, in Australia the boxes display huge warning labels depicting graphic photographs of the harmful effects of cigarette smoking: diseased lungs, a cancer-riddled mouth, a 34-year-old emaciated man dying of lung cancer. The warnings cover 75 percent of the front and 90 percent of the back of a cigarette pack, which is a uniform drab olive brown color. And the brand name, whether it be Marlboro, Camel, Lucky Strike or anything else, appears in a small, uniform font. The tobacco industry tried to use that argument to stop Australia from implementing its plain packaging legislation. Philip Morris International, British American Tobacco and Imperial Tobacco sued, alleging that the law violated Australia’s constitution. The government would effectively be stealing their intellectual property, they said. The High Court of Australia disagreed. The Australian constitution requires that there be an acquisition of property in order for there to be a taking, the judges ruled in 2012. But the Australian government did not acquire property, they ruled. The plain packaging law merely deprived tobacco companies from using their marks in any way they wished. And the country’s Trademark Act does not confer “a liberty to use registered trade marks free from restraints found in other statutes,” the judges wrote. Big Tobacco lost that battle, but it was not ready to surrender. There is too much at stake. Australia’s win prompted other countries to start expressing interest in plain packaging. And for an industry already subject to strict advertising regulations, the possibility of losing individual brand logos, fonts and other distinctive marks on packaging could severely damage tobacco sales and the bottom line. Even before the loss in Australia’s domestic courts, Philip Morris had already found another venue to contest the law. In November 2011—on the same day Australia’s Parliament passed the plain packaging legislation—the tobacco company used its Hong Kong-based Asia subsidiary to file an investor-state claim against Australia. It alleged that the plain packaging law violated a bilateral investment treaty (BIT) between Hong Kong and Australia. Philip Morris Asia charged that Australia’s plain packaging rules breached its obligations under the bilateral treaty. It deprived the company of the real value of its investments in Australia, it said, including “its brands, branding and intellectual property.” Investor-state disputes allow foreign corporations based in countries that are signatories to investment treaties to directly sue the countries in which they invest if they believe a government decision has unfairly affected their investment. But the move by Philip Morris raised eyebrows. It wasn’t until the Australian government announced its intention to introduce a plain packaging law that the company did some corporate restructuring and had its Hong Kong-based subsidiary purchase its Australia-based counterpart—a move that positioned it to bring an investor-state case against Australia. Australia, in fact, is challenging Philip Morris’ right to bring the case, saying that the claim is an abuse of legal right and that the company does not have jurisdiction. It asked the three-judge tribunal hearing the case to first consider the question of Philip Morris’ jurisdiction. The company objected, but in April the international tribunal agreed to Australia’s request. It will first decide the jurisdiction question, and only if the judges determine that the court has jurisdiction will they hear arguments on the merits. Meanwhile, five tobacco-producing countries have brought another intellectual property legal challenge to plain packaging laws—this one through the World Trade Organization. With financial assistance from the tobacco industry, the five—Honduras, Cuba, the Dominican Republic, Ukraine and Indonesia—have challenged Australia’s law, saying it violates the Agreement on Trade-Related Aspects of Intellectual Property Rights, commonly known as TRIPS. TRIPS has been signed by more than 150 countries and sets minimum standards for intellectual property regulation. The WTO ruling would set a precedent, determining the extent to which a government can deny a company the right to use its own trademark and distinguish its product from others. Tobacco companies say they have a right to use their trademarks. Their opponents say trade agreements do not give companies that right. Instead, they argue, trademarks provide a negative right: They simply prevent others from using the same mark. TRIPS is silent on this question, legal analysts say, and it will be up to the tribunal to interpret the treaty on this point. But the main argument, they say, will hinge on the judges’ interpretation of Article 20 of the TRIPS agreement, which states that the use of a trademark “shall not be unjustifiably encumbered” in the course of trade. “The question is whether Australia’s actions are justifiable,” says McGrady, whose research has focused on the intersection of public health and international trade and investment law. Australia and its supporters argue that evidence will show that it is justifiable. Data published in June indicates that smoking rates in Australia fell at their fastest pace in more than two decades following the introduction of plain packaging. Big Tobacco quickly disputed those statistics, but Australia’s Treasury, which collects data on sales in order to levy a tobacco excise tax, then published data showing that 3.4 percent fewer cigarettes were sold last year than in 2012. The graphic health warnings and plain packaging became mandatory on Dec. 1, 2012. Moreover, the World Health Organization Framework Convention on Tobacco Control, a United Nations treaty that is legally binding in almost 180 countries and was created “to protect present and future generations from the devastating health, social, environmental and economic consequences of tobacco consumption and exposure to tobacco smoke,” recommends most of the tobacco controls instituted by Australia. WHO also stated publicly that it supports Australia’s plain packaging legislation. “It’s difficult to argue that what Australia has done is unjustifiable,” McGrady says. But that’s exactly what Big Tobacco intends to do. Groups such as the International Trademark Association and The U.S. Chamber of Commerce have issued statements in support of tobacco’s position. Plain packaging breaches intellectual property rights and infringes international trade agreements, they say. They add that it also will lead to smuggling and counterfeiting. And since trademarks are dependent on “use” under common law, plain packaging laws will lead to the revocation of trademarks in many countries, notes Payne, the Dublin-based IP attorney. “If you don’t use it, you lose it—and any value attributable to the mark will go away,” he says. To get around the “use” issue, Australia passed a law saying the nonuse of trademarks on tobacco products would not be grounds for revocation. But plain packaging still deprives a brand owner of a mark’s value, he says. While the legal battles continue, however, some tobacco critics say Big Tobacco has already won. Uruguay, for example, has been battling Philip Morris since 2010, with the tobacco giant alleging that the country is in violation of a bilateral investment treaty with Switzerland—home to Philip Morris International’s headquarters. In 2009 Uruguay passed what was then the world’s most stringent tobacco control law, requiring that 80 percent of cigarette packs be covered by health warnings that include graphic photos of the health effects of smoking and restricting—but not eliminating—tobacco company branding. In its investor-state case, Philip Morris is demanding $25 million in compensation for damage to its brands. The case is expected to cost Uruguay at least $8 million, an amount the country can ill afford. In fact, Uruguay was about to give up the fight because of the expense, according to Stumberg. But philanthropies owned by former New York City Mayor Michael Bloomberg, who founded the Bloomberg Initiative to Reduce Tobacco Use, pledged money to assist with Uruguay’s legal expenses. Big Tobacco is also attacking countries in the European Union because they, too, have increased tobacco control measures. The countries, which already display graphic warnings on their cigarette packaging, adopted a revised EU Tobacco Products Directive in March. The new directive calls for an increase in the size of picture health warnings so they dominate each cigarette pack. In addition, flavored tobacco products, such as menthol cigarettes, are banned. And while the directive stops short of establishing plain packaging, it does allow each EU country to decide whether it wants its laws to go further. In June, Philip Morris challenged the legislation, saying that it violates EU treaties governing competition and consumer rights. Finally, the tobacco industry’s legal challenges have stalled moves by other countries considering the adoption of plain packaging, legal analysts say. New Zealand was one of the first countries to say it would follow Australia’s lead, but it is now waiting to see what happens in Australia’s bilateral treaty and WTO disputes. The United Kingdom has also expressed interest in adopting plain packaging but is now concerned about the legal risk and is waiting to see what happens at the WTO. France, too, has vacillated about how far it will go in light of all the pending litigation. Only Ireland appears to be pushing ahead, despite heavy lobbying from U.S. and European business, trade and intellectual property associations. Pressure has also come from U.S. elected officials, mostly from tobacco-growing states. And there have been legal threats from the tobacco industry. But in June, the country introduced its own plain packaging legislation. James Reilly, the country’s former health minister and a licensed medical doctor, has vowed to make Ireland smoke-free by 2025. The tobacco industry has said it will bring a legal challenge and demand compensation for the loss of its intellectual property if the legislation passes. Some countries are growing increasingly concerned about the tobacco industry’s use of international treaties to squelch tobacco control efforts in the name of intellectual property. Malaysia has even suggested that a carve-out be created for tobacco so it is not included in the Trans-Pacific Partnership trade agreement currently being negotiated. Stumberg and other legal analysts say that in time, the tribunals may rule that trade agreements do not give companies an inherent right to use their trademarks, and they may issue a finding that governments have regulatory authority for tobacco products. But, he says, they could also rule the other way. Hong Kong (HKSAR) – Hong Kong Customs detected earlier this week a case involving suspected evasion of tobacco duty by a company holding an Import and Export Licence for Cigarettes. The company was suspected to have mixed duty-not-paid cigarettes with duty-paid ones for sale, intending to evade tobacco duty of about $4.1 million. In the operation, Customs seized about 2.2 million sticks of suspected illicit cigarettes, with a market value of about $4.7 million and a duty potential of about $4.1 million, from a company in Mong Kok and a store in Kwai Chung. Five men and two women aged between 25 and 54, including a company director, three company staff, two drivers and a conveyor, were arrested. Customs has been monitoring the cigarette sales in the market. It was found recently that there were discrepancies in the company’s stocks of duty-paid cigarettes and its business records. After several months’ follow-up investigations, it was suspected that someone had mixed the smuggled duty-not-paid cigarettes with duty-paid ones for sale in an attempt to evade tobacco duty. Customs took enforcement action on August 25 to search the company’s office in Mong Kok and seized 600 000 sticks of suspected illicit cigarettes from 60 carton boxes. Customs further seized 1.6 million sticks of suspected illicit cigarettes from 131 carton boxes in a store at an industrial building in Kwai Chung. The licensee of the company and six other persons involved in the case were arrested. A Customs spokesman said today (August 28) that Customs has put in place an effective system on the control of import and export of cigarettes and tobacco products. A person who imports and exports cigarettes must possess a valid Import and Export Licence. A company holding an Import and Export Licence must also obtain the relevant permits from Customs prior to removal of cigarettes. A licensee must comply with the relevant licensing and permit conditions. Customs will continue to closely monitor the market situation and strengthen intelligence gathering. Target enforcement action will be taken against any suspected illicit cigarette activities. Under the Dutiable Commodities Ordinance, anyone involved in buying, selling or dealing with illicit cigarettes commits an offence. The maximum penalty is a fine of $1 million and imprisonment for two years. For cases of intentional evasion of duty, a magistrate may additionally impose a fine not exceeding 10 times the amount of duty payable on the dutiable goods. Under the Crimes Ordinance, a person convicted of the offence at common law of conspiracy to defraud shall be liable to imprisonment for 14 years. One out of three cigarettes smoked in Hong Kong last year was illicit, costing the government more than HK$3.2 billion in lost tax revenue, a study by two overseas think tanks says. But the Hong Kong Council on Smoking and Health (COSH) says the results are “dubious”. The Illicit Tobacco Indicator study – conducted by UK-based Oxford Economics and the International Tax and Investment Center (ITIC) in the US – suggests that the city’s illicit cigarette consumption rate stood as high as 33.6 per cent of 1.8 billion cigarettes smoked in 2013, causing a loss of HK$3.2 billion in taxes. Of the 14 countries studied, Hong Kong had the third highest consumption rate, after Brunei and Malaysia, which ranked first and second, respectively. The findings were contested by COSH. A study done by the council and the University of Hong Kong showed the consumption rate in 2012 was between 8.3 per cent and 14 per cent. The report by ITIC and Oxford Economics for the same year, however, suggested 35.9 per cent. Yesterday, at the Canadian Chamber of Commerce, ITIC president Daniel Witt said the high rate was caused by substantial tax increases for cigarettes which force smokers to seek a cheaper alternative – illicit cigarettes. He cited a 50 per cent rise in cigarette tax between 2008 and 2009. He shrugged off suggestions that the study could be biased as it was partly funded by Philip Morris International, an American tobacco company. The best way to combat illicit smoking, Lau said, was through education and law enforcement. Illicit cigarettes make up nearly 34 percent of consumption locally, placing Hong Kong third in the list of cigarette-smuggling places in Asia, according to a study. The study “Asia-14: 2013 Illicit Tobacco Indicator” notes that nearly 16,600 cases of cigarette- smuggling were handled by the Customs and Excise Department last year, with illicit cigarettes seized worth HK$222 million, up 15.6 percent over 2012. Illicit cigarettes make up 33.6 percent of the total purchased in the SAR, according to the study, placing Hong Kong behind only Malaysia and Brunei. The study was conducted by UK-based Oxford Economics in partnership with the US-based International Tax and Investment Center and funded by Phillip Morris International. ITIC president Daniel Witt said that excessive tax rises are the main cause of the increase. Cigarette smoking is considered the first preventable cause of death in the world. Social, familial, and personal factors play an important role in prevention or cessation of smoking. Educating the public in order to enhance their knowledge, change their attitude and improve their habits is also effective in this respect. In 2007, the executive protocol of the Comprehensive Law on Smoking Control was compiled in the Ministry of Health and according to the Article 5 of this law pictorial health warning labels had to be applied on cigarette packaging. This study was designed and conducted in 2 phases of before and 9 months after the implementation of this law and evaluated the effect of it on smokers’ knowledge, attitude and pattern of smoking. This was a cross-sectional descriptive study conducted to evaluate the effect of cigarette packs’ pictorial health warning labels on the knowledge, attitude and smoking pattern of smokers residing in Tehran. After calculating the size of understudy population and estimation of the exclusions, 1731 subjects were randomly selected using the multiphase cluster method from the 22 districts of Tehran. Data were collected using a questionnaire designed according to the standard questionnaire of the World Health Organization (WHO) and International Union Against Tuberculosis and Lung Disease (IUATLD). Qualitative and quantitative value and reliability of the variables including cigarette consumption, knowledge about the law, and pattern of smoking were evaluated in 2 phases and the quality of pictures and their effects on the mentioned variables were assessed in the 2(nd) phase. Before adopting the pictorial warning labels in the first phase of the study, 1731 respondents were evaluated out of which 71.8% were males and 28.2% were females. These cases had an average of 17.6±12.3 years history of smoking. A total of 38% (675 subjects) used Iranian cigarette brands and 39.5% were aware of the implementation of pictorial health warning labels on cigarette packs. In terms of smokers’ attitude towards the implementation of this law, they mostly had no opinion about it. A total of 33.3% stated that they may cut down on smoking as the result of this law. Men had a higher percentage of smoking a cigarette first thing in the morning before breakfast and women had a higher rate of consuming foreign cigarette brands (P < 0.001). In the second phase of the study, 1590 cases of the phase 1 subjects participated. Subjects had a significantly higher knowledge about the implementation of pictorial health warning labels on cigarette packs (P < 0.001). Attitude towards this law did not change significantly compared to the first phase although the mean score improved by 0.07%. Enforcement of this law resulted in decreased consumption in 7.6% of the participants. However, the Wilcoxon test did not show any significant difference. In terms of the quality of pictures, 61.6% had no opinion, and 28.7% expressed that the pictures had poor quality. No significant difference was observed between the Iranian or foreign brands in terms of smoking rate after applying the pictorial warning labels. We believed that the smoking rate would decrease after applying the pictorial health warning labels on cigarette packs. However, it did not happen. Also, adopting these labels did not have a significant effect on smokers changing their favorite brand from Iranian to foreign brands or vice versa. Type and quality of pictures require major revision and corrections.